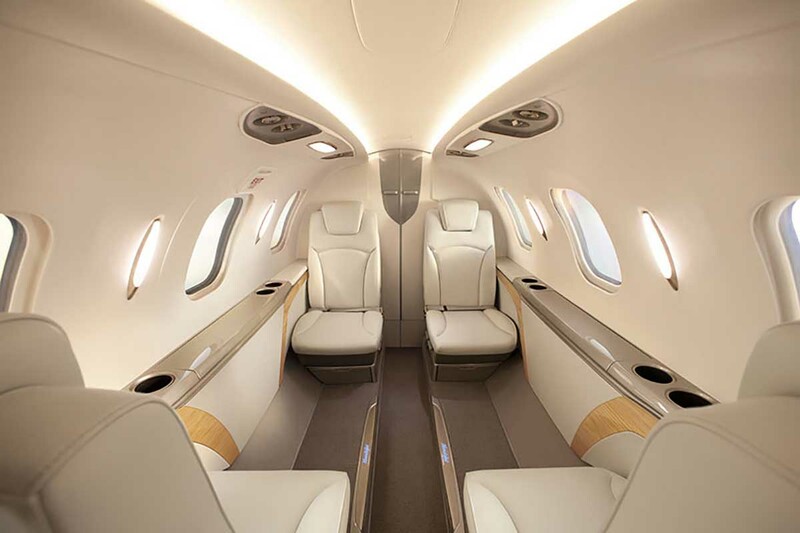 Featuring a composite fuselage, over wing mounted engines and improved aerodynamics the Hondajet is the at the pinnacle of private jet design. Able to climb and cruise faster than other jets in class, the Hondajet is also able to fly higher creating great fuel efficiency compared to other Very Light Jets. The innovative over wing mounted engines reduce cabin noise and create more space, increasing baggage capacity. 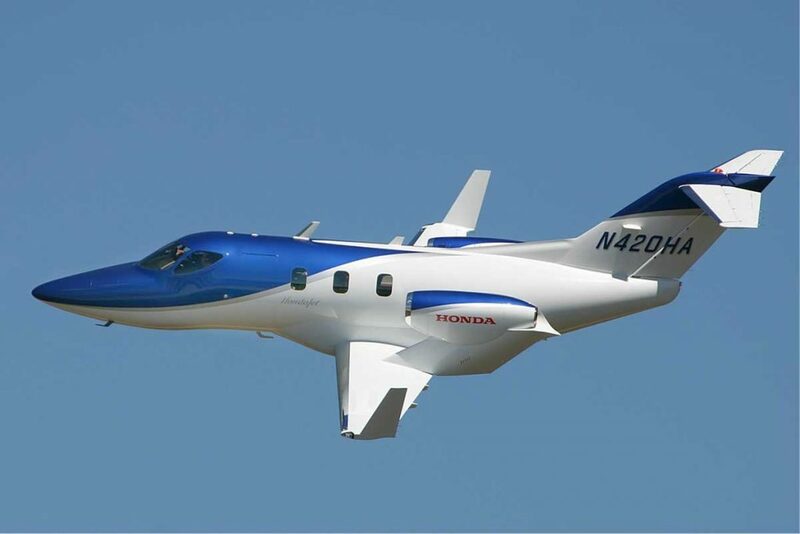 With 4 passengers on board the Hondajet can comfortably perform trips up to 3 hours in duration.